CV/0 deleted Secondary school-leaving certificate in scientific subjects (1970). CV/1 deleted Businessman (since 1975). CV/2 deleted Regional chairman of the Northern League since 1994. Regional Secretary of the Northern League (Veneto League) since 1998. CV/3 deleted Mayor of Treviso (since 2003). CV/4 deleted Member of Veneto Regional Council (1990-1999). CV/5 deleted Vice-Chairman and Member of the Veneto Regional Executive (1994-1995). CV/6 deleted Under-Secretary-of-State for Reform (2005). CV/7 deleted Member of the European Parliament (1999-2004). Secondary school-leaving certificate in scientific subjects (1970). Regional chairman of the Northern League since 1994. 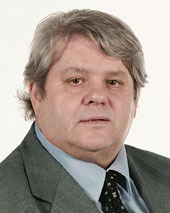 Regional Secretary of the Northern League (Veneto League) since 1998. Mayor of Treviso (since 2003). Member of Veneto Regional Council (1990-1999). Vice-Chairman and Member of the Veneto Regional Executive (1994-1995). Member of the European Parliament (1999-2004).